Thank you again for your great input on our Richard Armitage collaboration project with our flags of the world. The music is a shortened version of the song “Ships Without Meaning” by Oneohtrix Point Never. Next month, my schedule looks lighter so I’m planning to post more regularly. 🙂 Please remember that I’m open to suggestions for projects and ideas. This entry was posted in Collaborative Project, Fan Videos, richard armitage and tagged actor, fan videos, fanvideo, richard armitage, richardarmitagenet, richardarmitagenet.com, richardarmitagenetdotcom. Bookmark the permalink. Oh, what a lovely result! I’m so happy to notice the Italian flag appearing several times (go RAItalian team!!!) and there are so many flags I simply have never seen in my life. I have to study their origin accurately. I learned a lot of new flags in this project too. @april73: Aw, thanks for your gorgeous Guy pic and flag! @jhezser: I like your phrase: “United Nations of Armitage!” 😀 Thanks for your flag and delicious Harry Kennedy picture! How come the American and New Zealand flags appeared 4 times each but you didn’t bother including the Australian flag? Hi, kathryngaul! B took submissions for several days of both a flag and pic of RA. If there was no Australian flag then no one submitted an image is my guess. I see we cross posted, lol! Sorry. Ummm… the blue flag with the Union Jack in the corner and white stars is the Australian Flag, the NZ flag is blue with the Union Jack, but has red stars not white, and does not have a star under the Union Jack. You have the Australian flag in the video not the NZ flag. Actually the NZ flag doesn’t appear at all, it is the Australian flag that appears a number of times. Thanks, Millie – I realized later that I’d switched the country names around!!! I was almost asleep when I posted my comment – just goes to show how ditzy I can be, doesn’t it? 🙂 😉 Sorry. No problem, just thought I would mention it, lots of people tend to mix our flags up, it is a common mistake. You could be right that there were no submissions from NZers. Brazilian flag opening the video… oh, after The Hobbit, I hope RA will become better known in the country. @Ana Cristina: Haha, yes, that’s a very swoon-worthy picture of Lucas North. Thank you for this wonderfully dreamy fan-collaboration video, bccmee! I love the cloudy sky in the background, as it so lovely represents the Bavarian flag ;o) and the music perfectly enhances the dreamy mood! @cdoart: Ah perfect choice of flag then! Blue is a color that inspires cReAtivity according to a book I’m reading at the moment. Thanks also for your absolutely delicious John Mulligan picture! It was great to see the Canadian flag + 3 provincial flags! Wavin’ the Flag! This was fun to watch – thanks! I agree! This was great! But @tyme4t -which one did I miss? I saw the Canadian flag (of course) and the ones for Newfoundland and Ontario. What was the 3rd provincial flag? Nova Scotia – which was from me! Oops! Sorry! I guess I thought that was the flag of Scotland. But it’s “New Scotland” – of course! 🙂 Which makes me wonder, why wasn’t there a Scottish flag? @tyme4t: Thanks very much for your lucious Lucas contribution and your Nova Scotia flag! 😀 I was half-expecting a picture of a Richard Armitage character with glasses but you surprised me, and that’s a good thing, LOL! I need to be a bit quicker next time. @Mezz: Thanks for your lovely John Porter picture and your flag! I couldn’t do this without you! Wow, BccMee, this was really awesome! @phylly3: Thanks for your beautiful flag and your adorable CBeebies screencap! What can be more inspiring than our country/state flag? Of course, all these wonderful pictures of our beloved Mr. Armitage! @Fabi: I like the way you think! 😀 Richard Armitage is very inspirational. Thanks very much for your stunning Lucas North promo picture and your lovely flag! @antoniaromera: Aww, sorry you didn’t see this in time. I hope you can participate in our next project! Once more you made a fantastic job,Bcc.I think you must have an ideas plantation,LOl! Great choice of RA´s pictures of all, and I was really surprise seeing the Brazilian flag opening the video.It was very nice!Thank you for spending so time making all these projects .You´ve made us very happy! @Tereza: I was delighted to see so many contributions from your country! I have a friend who lives there and hope to visit Brazil someday. 😀 Thanks again for your flag and your Divine screencap! Sorry,my English mistakes,after posting my comment,I saw some of them.It´s not so easy to write in other language.See you! Wonderful international project Bccmee. All these different flags are beautiful and it impressed me that an actor as Richard (not really very known) have fans all around the world like that. How did I miss this project? Oops! Looks Awesome! @Ania: I so appreciate you taking the time to submit your flag and the lovely Richard Armitage “No Escape” picture. He looks simply divine in jeans, doesn’t he? Thanks again! Wonderful job bccme! I’m very glad to see the Romanian flag in this international project! And all this beautiful pictures of Richard Armitage…. Awesome! Thanks for taking the time to do this. You did it again, Bccmee! A great collection of flags and lovely pics! @jeanniegisborne: I totally agree about Richard Armitage being a uniting force for good! ♥ Thanks for your scrummy Guy picture and our flag! i didn’t know all the flags! Really neat. @servetus: Many of the flags were surprises to me. This video is a lovely illustration of creating community by crossing boundaries of nationalities, ethinicities, creeds, continents, and oceans. And to think, one man’s storytelling artistry–Richard Crispin Armitage–has been the inspiration for our collective reaching out to others across the miles in friendship. Grati, you said it perfectly. And Bccmee, well done! Very creative idea, and your skills leave me, as always, in awe. Can’t wait to see what you do next. 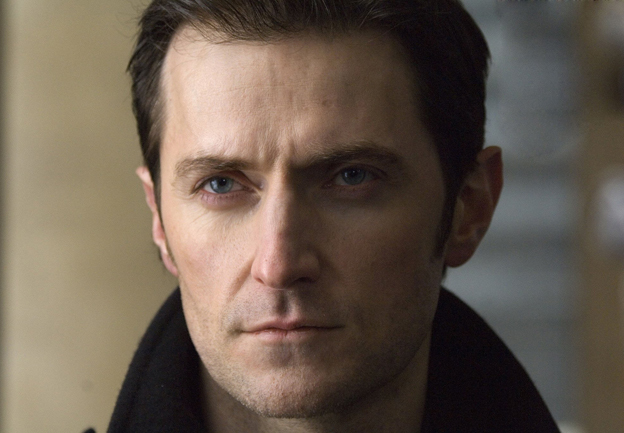 After the Hobbit – I reckon our Richard will be a lot more known …. and appreciated in all these countries! Bccmee – the dreamy music suits the video perfectly! I looked at it first with my sound on mute and then with the sound on and , I have to say that the music transforms it from really neat to absolutely lovely. Doctors Without Borders/Médecins Sans Frontières is known around the world for their great work in health care. I think the United Nations of Armitage is a group all about healthy hearts – RA sure keeps ours thudding along! Thanks so much for your flag and the gorgeous beardy press conference picture of Richard Armitage! Bccmee, it was again one of your amazing work that I love. I am proud that I had seen the flag of the Czech Republic, but mainly to the fact that I can be among such a large community of fantastic people who have a common interest in the person of Mr. Armitage. He should be proud of that person and his work can unite people from so many countries and I believe he is. So long life to Mr. Armitage and his Army! It is lovely that we have such a bond and kind feelings across borders under our shared interest of a talented actor. Wow, great work! I hope everyone had a good reason to be happy today! The video start with the flag of Brazil and with “my picture” made ​​me very, very happy today! :0) Thanks, Bcc. That was great! I love the fact that Richard can bring so many people together from all around the world! He’s so awesome! That’s nice to see all the flags and to know that behind each one there are hundreds of stories and perspectives as diverse as each fan. I also think I have a new challenge: learning each flag and identify all the photos of RA. @vec170203: Glad you were able to finally enjoy the results of our collaborative efforts. I’m delighted to see so many fans around the world and I do hope Richard Armitage’s fan base continues to grow. You’re so right that we are all diverse and unique, and yet we’re united. 😀 Thanks so much for your flag and the lovely John Porter picture! @Thais: It’s so much fun to play together, isn’t it? 😀 I am so happy you were able to participate and I thank you for your contribution of the picture of Richard Armitage in New York City. bee….the finished project is wonderful! well done you! I would dearly love Richard to see this video……I reckon he would get a real kick out of seeing how widespread team Armitage is! @thefrencharmitagearmy: Thanks so much for your kind comment. 😀 Sorry you missed it too. I don’t keep score so I didn’t realize there were not French flags submitted.